The Federal Reserve released its post-meeting statement on Wednesday, this time lacking a key word that has been intriguing investors for months. The Fed had continuously been saying it would be “patient” on raising interest rates, but that word was dropped from the latest statement. It also cut its forecast for U.S. economic growth in 2015. U.S. stocks and bonds rallied on the news, while the dollar slumped. Gold jumped more than 2%, and is on track for its biggest rally since January. The statement said the Fed will find it appropriate to raise rates “when it has seen further improvement in the labor market and is reasonably confident that inflation will move back to its 2 percent objective over the medium term.” Fed members also indicated that the rate increase would be more gradual than previously intended, as they saw “more slack in the economy now than they previously did.” Accordingly, the Fed cut its forecast for U.S. growth in 2015 from as high as 3% to 2.3%-2.7%. What could this mean for gold? 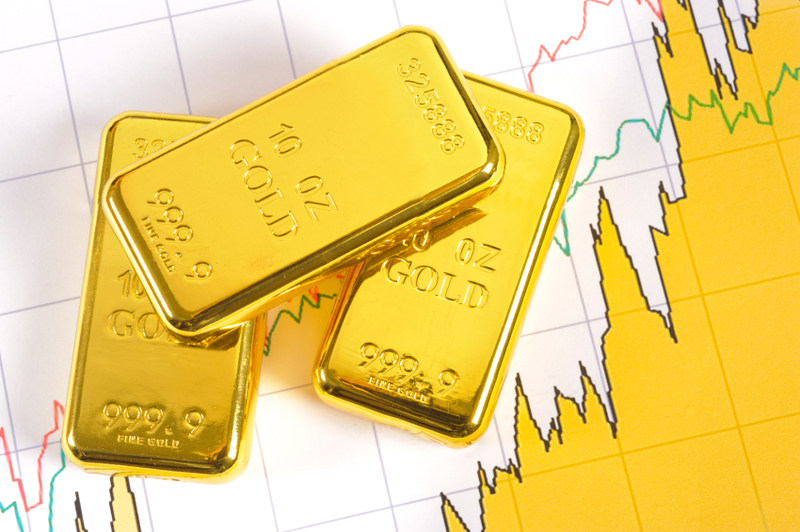 Popular opinion holds that higher interest rates are bearish for gold; however, considering the downward pressure that higher interest rates can also put on the stock market, that may be different this time around. A downturn in the stock market is typically bullish for gold, as investors flock to the safety of gold. If higher interest rates prove to be too much for the stock market to handle, the gold price could benefit. Although the Fed has not set a date for an interest rate hike, and has actually made no guarantee that it will occur at all, it’s important to prepare for how it could affect your stock market investments. Physical gold diversifies your portfolio away from paper, and hedges it against major losses due to a stock market correction. Don’t let Washington and Wall Street erode your savings. Call American Bullion today at 1-800-326-9598 to add gold to your retirement account, or buy coins and bars for secure delivery to your home. Our knowledgeable precious metals specialists will answer any questions you have.